Airtel is concentrating on grabbing more users by launching new entry-level plans and the latest one to join the list is Rs 195 prepaid plan. Bharti Airtel has launched a new prepaid plan of Rs 195 taking the battle to Reliance Jio and Vodafone Idea Limited. 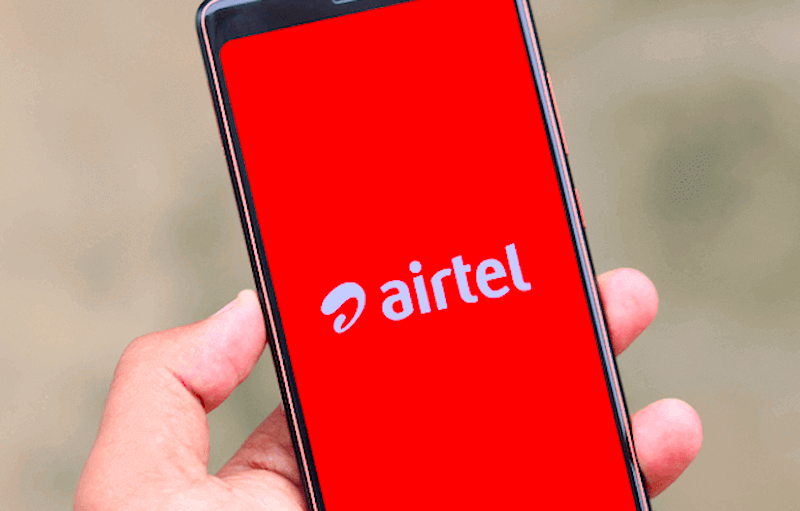 This new entry-level plan offers a total of 35GB data and unlimited voice calls, but Airtel users will miss out on SMS benefits. With this plan, Airtel takes on other plans of Rs 198 from Reliance Jio and Rs 199 plans from Vodafone Idea, but we don’t know the exact reason of why this plan exists as it offers limited benefits than the Rs 199 prepaid recharge from Airtel. Nevertheless, Airtel must be looking to create a new tariff portfolio with 1.25GB daily data benefit. Unlike other combo recharge plans of Bharti Airtel, the newly introduced prepaid plan gives voice calling and data benefits only. Firstly, the plan offers unlimited local, STD and roaming voice calls without any FUP limit. Second, it provides a user 1.25GB of data per day, which becomes a total of 35GB data during the validity period of 28 days. As mentioned above, the new recharge plan from Airtel is not offering any SMS benefits, which might be a letdown for users who rely on text messages for communications. Right now, the Rs 195 prepaid recharge plan of Airtel is available only in select circles such as Andhra Pradesh & Telangana, Kerala and a few. Also, the plan can be availed only via the company’s website and it’s yet to be made available for recharge through My Airtel application. We have checked the plan’s availability in Karnataka and Delhi circles, but there’s no luck. Let us know by commenting below whether Airtel launched this plan in your circle or not. Very recently, Bharti Airtel launched a segmented tariff plan of Rs 168 which gives a user unlimited voice calls without any FUP limit, 100 SMS per day and 1GB data per day for 28 days. The newly launched Rs 195 prepaid plan comes with slightly better 1.25GB data benefit per day and unlimited voice calls but lacks free text messages benefit though. So if you send text messages more often, then you should get yourself the Rs 168 recharge, but again, it’s a segmented prepaid plan valid only for select users. Otherwise, you can choose the open market plan of Rs 199 which brings along 1.4GB daily data, unlimited voice calls and 100 SMS per day for 28 days. In the meantime, Airtel also launched a new Rs 159 prepaid plan with benefits for 21 days, and 1GB of 4G data, unlimited voice calls and 100 SMS per day. In other news, the newly formed Vodafone Idea Limited has removed the basic talk time recharges of Rs 20, Rs 30, Rs 50 and so on, and introduced Active Recharges which offers talk time, rate cutter and data benefits for a minimum validity of 28 days. Airtel might counter the move by launching a similar set of plans in the coming weeks. Airtel is showing seperate validity for outgoing calls and incoming calls. I think we are back to 2003 where we used to do Rs.300 for 30 days validity with Rs.175 talkvalue. 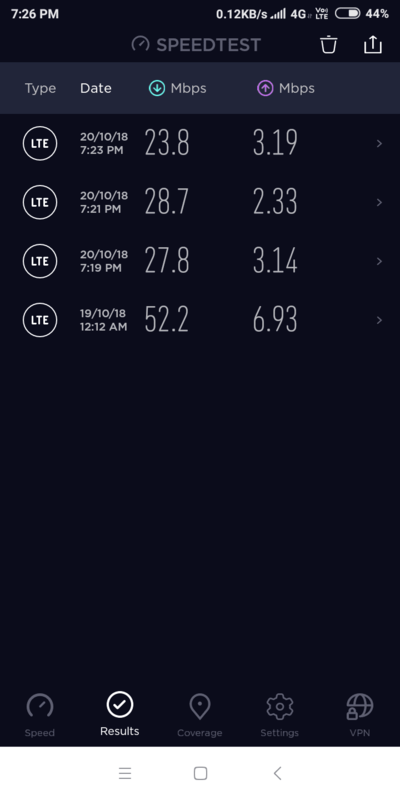 Jio 4G at peak hour (3 tests). One test not in peak hour. I’m consuming 3GB/day on Jio. But with Airtel friends unable to consume 2GB in one month due to poor Airtel speed. Who will use 2G speed in Airtel 4G network. Airtel is doing self killing of its own network. Here only 0.50 mbps all day and 0.11 mbps at night in jio.